Give azaleas a neat trim as this may be the last chance to do so without affecting their spring flowers. 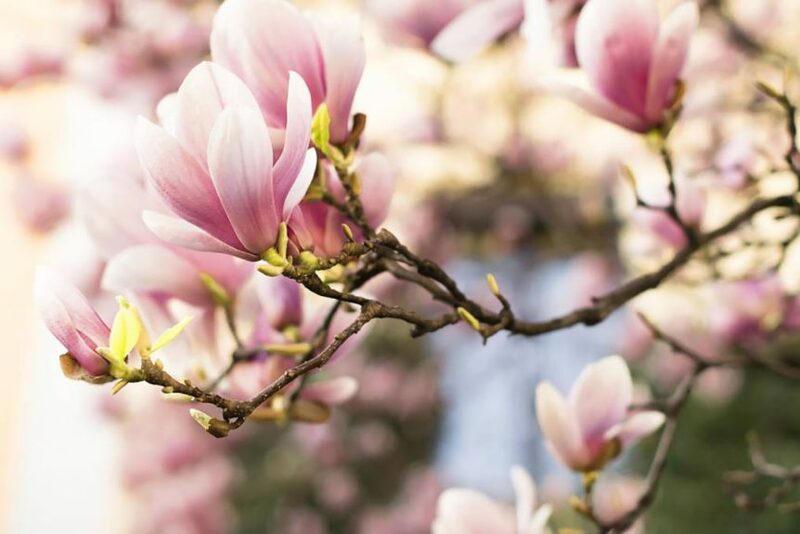 Prune magnolias, if necessary, by cutting back new growth to within two buds from their base. When peas and beans have finished harvesting dig the roots in to enrich the soil for the following crop of leafy vegetables. Summer and early autumn are peak seasons for fungal diseases especially if humidity levels are high and showers are frequent. Most fungal diseases are very host specific and all are spread by means of tiny, dust-like particles called spores. Prevention of fungal diseases is better than trying to control, so avoid the conditions that promote disease by watering plants in the morning, rather than the evening, so that the leaves keep as dry as possible. March is the best time to prune apricot trees as they are susceptible to gummosis, a wood rot disease caused by the fungus Eutypa armeniacae. This is first noticed when the leaves wilt and die and the affected branch suddenly collapses. Upon closer inspection a canker is usually seen at the base of the branch. Dollar spot lawn disease is a fungus seen as a small round brown or yellow patch usually the size of a dollar coin, hence the name. It is most often caused by lack of nutrients in the soil, poor drainage, soil compaction, night watering and a thick layer of thatch. Check for aphids, mildew and black spot on roses. If detected use a recommended control method. Scale can be easily removed with a soapy cloth or spray with white oil. Thrips are tiny, sap-sucking pests that spoil the appearance of leaves and flowers on susceptible plants by puncturing them, causing a distinctive silvery or bronze mottling effect on the surfaces of where they have fed. To control, trim damaged plants, practise good garden hygiene by cleaning up debris, encourage a good population of beneficial insects such as ladybugs and lacewings as these eat thrips and, if the population is severe, use a pyrethrum insecticide. Spray all over the leaves including the undersides and where the leaves attach to the stems.